Vasant Oasis is an excellent project by Sheth Creators at Marol, Andheri East. The project Vasant Oasis, an upcoming residential project, shows the developmental excellence, environmental beauty, and residential brilliance. The ample open areas and well- decorated greenery make this place looks more impressive. Each home of this project guarantees spaciousness in a way that your freedom of life is not concerned. Far from the hustle-bustle of the city, the environment and surroundings here are relaxed, cool and tranquil. The exquisiteness of nature attaches to the identification of this enticing property of Sheth Creators. The project Vasant Oasis at Marol is the excellent residential area to dwell with your loved ones. Sheth Creators have many projects in Mumbai, some of them are Auris Serenity, Sheth Beaumonte at Sion, Sheth Beau Pride and others. A residence that makes your living redefined and friendly are Vasant Oasis. The project at Marol, Andheri East is constructed with excellence and a sense of creative living to serve you a life of fabulous world with happiness and belonging. The excellent ideas and well-crafted constructions present it a home of dreams where facilities and features are placed to fulfillment. The capacious apartments at Sheth Marol project with excellent ventilation are a stable part of an easy breath. The structure of Vasant Oasis takes you to the lovely environment where your problems fade apart as soon as you move into this excellent project. 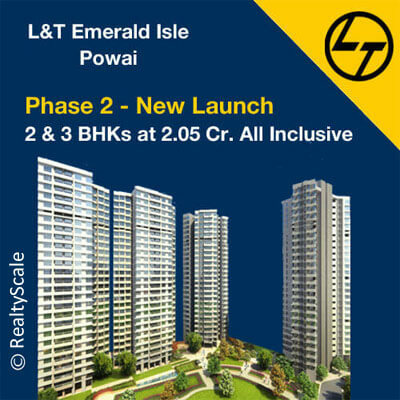 There are many great projects near Andheri East, some of them are Oberoi Prisma at JVLR, Emerald Isle Powai by L&T Realty and others. Determining a green place, within the center half of the city and still apart from urban clamor is a revelation itself. Vasant Oasis by Sheth Creators presents a grand living ambiance at an excellent place. It is, without difficulty, the complete model address for life. It is the area where you can luxuriate in an inspired lifestyle with smooth comfort. With charming design, enticing place flow and alluring construction, this is a dream become true. So whether it is about relaxing individual or spending quality time with your family or socializing with friends, whatever your vibe, Vasant Oasis exists up to your hopes.